Chairman/CEO of Tenacious Records, composer, arranger, producer, multi-instrumentalist and actor ALPHONSE MOUZON has been composing and producing beautiful music that has captivated and enthralled audiences throughout the world for over two decades. ALPHONSE MOUZON (who is an African American mixed with French and Blackfoot Indian) was born on November 21st in Charleston, South Carolina. He attended Bonds-Wilson High School where he received his early musical training from 9th grade through the 12th grade. 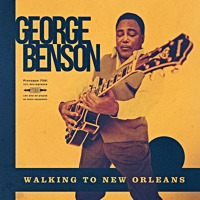 While in high school, ALPHONSE took some drum lessons from Charles (T.J.)Garner and played drums in the various bands of saxophonist Lonnie Hamilton with organist Jesse Williams and guitarist Joe Wilson. 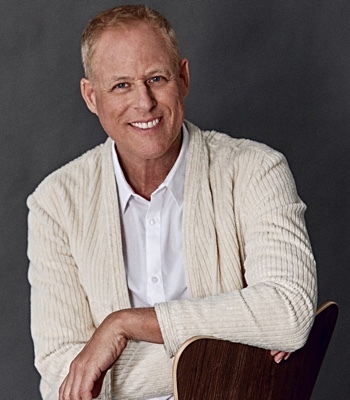 Following graduation from high school, he moved to New York to study music and drama at New York City College and medicine at Manhattan Medical School. MOUZON took drum lessons from jazz pianist Billy Taylor's drummer Bobby Thomas. 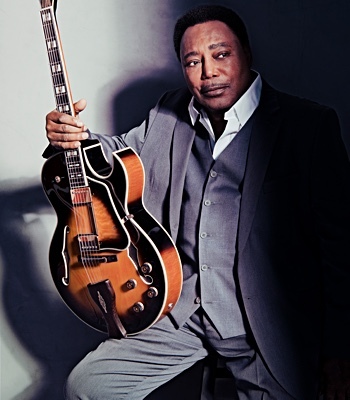 While attending college, Alphonse played in the pit band of the Broadway show PROMISES, PROMISES after being recommended by Bobby Thomas. MOUZON also worked as a medical technologist at Columbia Presbyterian Hospital after graduating from Manhattan Medical School. However his medical career was short lived. By 1969 his reputation as a player had spread to such an extent that a medical career was no longer attractive. 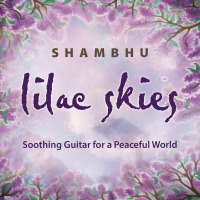 By the early seventies, he had embarked upon a musical journey that would take him to almost every corner of the world and would establish his reputation as one the most creative musician of the era. In 1975 MOUZON studied acting at The Lee Strausberg Institute for Actors in Hollywood, California. In 1997 he studied acting with Susan Ricketts and in 1998 MOUZON studied advance voice-overs with Don Pitts at California State University of Northridge. 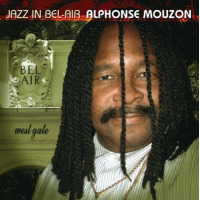 ALPHONSE MOUZON musical associations read like a veritable Who's Who of Modern Jazz and Pop Music. 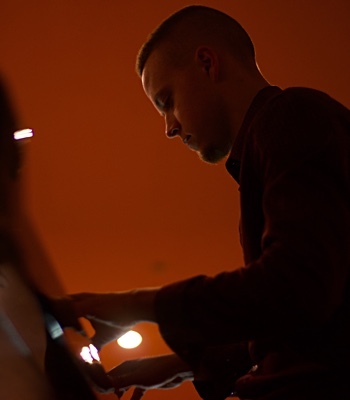 His talents cover a broad range of musical disciplines and philosophies. He was the rhythmic foundation for the far reaching musical explorations of pianist McCoy Tyner. He was a charter member/co-founding member along with the late great Austrian keyboardist Joe Zawinul, Czechoslovakian bassist Miroslav Vitous, Brazilian percussionist Airto Moreira, and legendary saxophonist Wayne Shorter, of the group Weather Report. Along with guitarist Larry Coryell, MOUZON was co-founder of The Eleventh House, the seminal fusion band of the seventies. The Larry Coryell's Eleventh House reunited after 25 years in July 1998 and toured all over the world featuring Alphonse Mouzon. 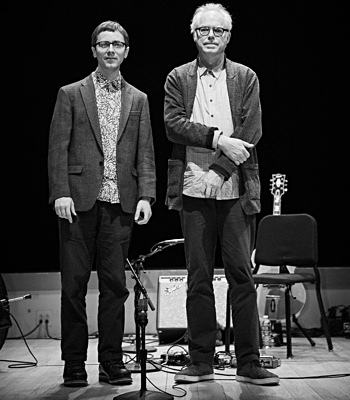 In 2013 The Eleventh House had another reunion and played several concerts. In 2015, they plan to have another reunion. 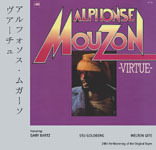 ALPHONSE MOUZON has also played and/or recorded with Gil Evans, Roy Ayers, George Benson, Herbie Hancock, Dizzy Gillespie, Stanley Clarke, Al DiMeola, Les McCann, Ronnie Laws, Klaus Doldinger's Passport, Jaco Pastorius, Ron Carter, Nathan East, Cecil McBee, Albert Mangelsdorff, Joachim Kuhn, Jasper van't Hof, Michel Legrand, Stanley Turrentine, Freddie Hubbard, Hubert Laws, Donald Bird, Chet Baker, Randy Brecker, Michael Brecker, Ernie Watts, Sonny Rollins, Wallace Roney, Arturo Sandoval, Christian McBride, Kenny Barron, Cedar Walton, George Coleman, John Klemmer, Billy Harper, Dave Grusin, George Howard, Jeff Lorber, Kenny G., Joanne Brackeen, Horace Parlan, Robin Kenyatta, Ross Carnegie Orchestra, ex-girlfriend Roberta Flack, Sheila E., Fania All-Stars with Celia Cruz; Gloria Lynn, Gloria Coleman, Denise Williams, Freda Payne, Shirley Scott, Anita O'Day, (ex- girlfriend/ex-wife of Miles Davis) rock-funk singer Betty Davis, and in 1991, he performed with Miles Davis on the movie soundtrack album entitled Dingo. MILES DAVIS even spoke highly of MOUZON in his book entitled Miles - The Autobiography. ALPHONSE MOUZON also led a successful life as a top ten Disco/Dance producer. He sold millions of records as the Founder/Leader/Producer of the the Internationally famous European flavored dance group POUSSEZ. MOUZON dance productions were big hits all over the world doing the late 70s, before disco came to a sudden death in the 80s.. MOUZON is planning to bring back the European flavored disco/dance hits that he made so famous (COME ON AND DO ITt, YOU'RE ALL I HAVE, NEVER GONNA SAY GOODBYE, BOOGIE WITH ME, EVERYBODY GET DOWN, etc.). MOUZON has also played with and helped the early careers of Lee Ritenour, David Beniot, Gerald Albright, Sam Riney, Brandon Fields, Greg Karukas, Dave Koz, and Richard Elliot. MOUZON's rock/pop credentials include gigs with no less respectable a crew than Stevie Wonder, Eric Clapton, Jeff Beck, Carlos Santana, Patrick Moraz, Tommy Bolin and Chubby Checker. ROBERT PLANT, lead singer for the legendary rock group LED ZEPPELIN, named ALPHONSE MOUZON, during his acceptance speech for induction into the 1995 Rock & Roll Hall of Fame, one of the band's major influences . Besides radio, MOUZON's music has been aired on CBS, NBC and ABC's Daytime Television Soap Operas - ALL MY CHILDREN, ANOTHER WORLD, AS THE WORLD TURNS, DAYS OF OUR LIVES, ONE LIFE TO LIVE, LOVING, GENERAL HOSPITAL, GENERATIONS, SANTA BARABARA, THE GUIDING LIGHT, SUNSET BEACH, PASSIONS, and CBS SPORTS, LIFE STYLES OF THE RICH AND FAMOUS, RUNAWAY WITH THE RICH AND FAMOUS, LEEZA, HARD COPY, ENTERTAINMENT TONIGHT, and many more! ALPHONSE MOUZON'S name can be found in just about every Jazz Encyclopedia/ Dictionary, and is listed the 2nd edition of Marquis Who's Who In Entertainment and Who's Who In The World. MOUZON was voted the #2 BEST MULTI- INSTRUMENTALIST in the 1995 Jazziz Magazine Annual Readers Poll. In 1992, ALPHONSE MOUZON formed TENACIOUS RECORDS and in 1992, released his TOP TEN CD entitled THE SURVIVOR. 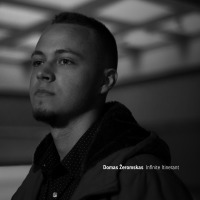 Subsequent releases on Tenacious Records ON TOP OF THE WORLD, EARLY SPRING, BY ALL MEANS, LOVE FANTASY, BACK TO JAZZ, AS YOU WISH, THE NIGHT IS STILL YOUNG, THE SKY IS THE LIMIT, DISTANT LOVER, MORNING SUN , and ABSOLUTE GREATEST LOVE SONGS & BALLADS and LIVE IN HOLLYWOOD, were NUMBER ONE, TOP TEN, or TOP TWENTY CDs. 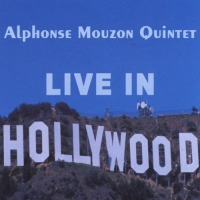 JAZZ IN BEL-AIR, is the latest CD from ALPHONSE. 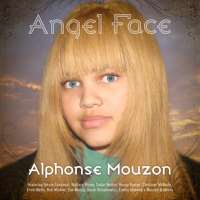 New CDs SMOOTH AS SILK- Smooth Jazz, ANGEL FACE - Straighhead from ALPHONSE MOUZON are scheduled to be released in 2011. See ALPHONSE MOUZON along with actor TOM HANKS in the 1996 film THAT THING YOU DO. ALPHONSE is acting and playing drums. He also composed the music score for the Blue Spot jazz club scene, in which he plays a smoking drums solo. The acoustic piano melody and solo on Blue Spot were also performed (off camera) by Alphonse Mouzon. MOUZON's music can be heard on the soundtrack for the 1997 film by actress Tisha Campbell caled SPRUNG. ALPHONSE MOUZON can also be seen in a 2004 movie with Michael Keaton, Margaret Collins, and Katie Holmes called FIRST DAUGHTER. ALPHONSE MOUZON composed the original music score for the brilliant short film by former jazz critic and now writer/director Dan Margules called BEGLEITER. MOUZON acted in and licensed two smooth jazz songs for the comedy/drama 2007 feature film THE DUKES starring actor/director Robert Davi (DIE HARD, THE PROFILER, PREDATOR 2, ILLICIT BEHAVIOR, LICENSE TO KILL, THE GOONIES, IN THE MIX) and Chazz Palminteri (A BRONX TALE, PUSH, SCAR CITY, KOJAK, ANALYZE THIS, RUNNING SCARED). 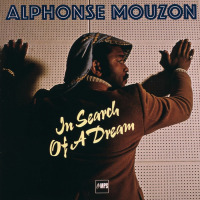 Besides scoring films and producing his own jazz and smooth jazz CDs, Alphonse, Sr. released a jazz-funk hip-hop/rap CD entitled THE MAIN ATTRACTION by his son Rapper/Singer/Keyboardist and Actor Alphonse Philippe Mouzon (who is known for his acting skills on the film LETHAL WEAPON) featuring Alphonse, Sr. on drums, trumpet, keyboards, along with his daughter pop singer Emma Alexandra Mouzon and Filppino pop/dance singer Sharon T. Alphonse, Sr. will also be producing Pop /Dance CDs for his 19 year-old Ivy League College Freshman & musically gifted daughter - Emma Alexandra Mouzon. 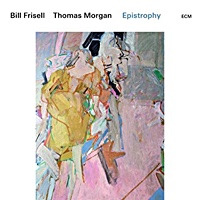 Emma sang on Alphonse 2011 top ten jazz CD ANGEL FACE an on his 2015 CDs SMOOTH AS SILK and HIGH NOON on Tenacious Records. Please visit the links below to purchase all music released on Alphonse Mouzon'sTenacious Records. All About Jazz musician pages are maintained by musicians, publicists and trusted members like you. Interested? Tell us why you would like to improve the Alphonse Mouzon musician page.